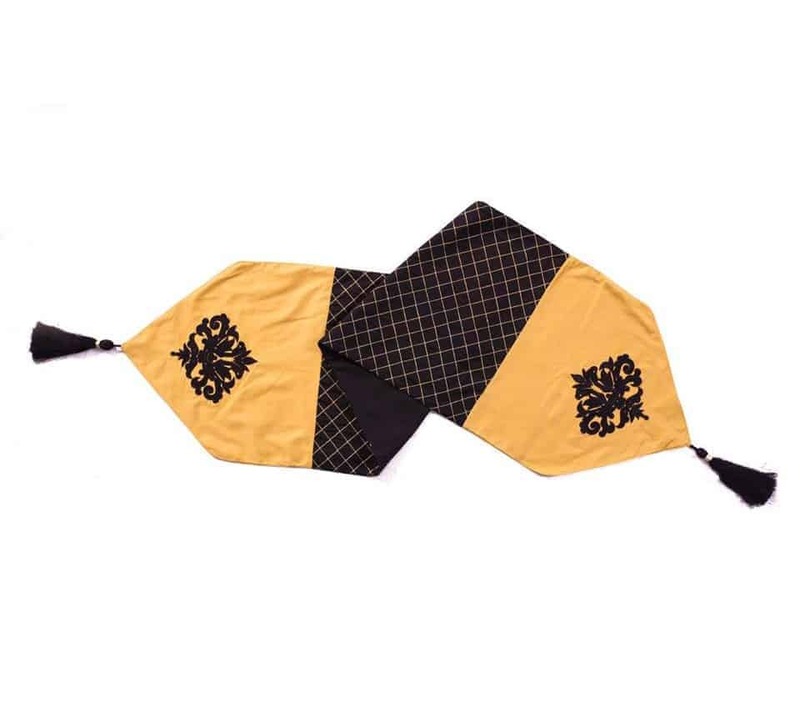 Bring a touch of chic sophistication to any room with this Black Oplance Table runner. Decked out in black net floral graphics on a beige background, this stylish cushion is the perfect way to bring a fashionable flair to any room’s décor. You can select matching cushion and table mats from our range.